One of my most memorable dining occasions at sea was a private Chef’s Table with Princess Cruises when the chef exuberantly bounded out from the galley, grinning from ear to ear, and dramatically set light to our main course. The collection of meats, hanging on skewers from a flambé roaster, exploded into flames as we all watched open-mouthed in surprise – wondering if our main course was being reduced to a cinder before our very eyes. Instead, it resulted in some of the most succulent meat I’ve ever tasted at one of the most impressive feasts I’ve ever sat down to. Since then, I’ve enjoyed memorable meals on a variety of cruises – and virtually all of them have been courtesy of the ships’ speciality restaurants. 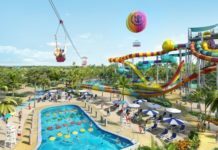 Some, such as Qsine on Celebrity Cruises, and Cirque Dreams and the Illusionarium themed dinner shows on Norwegian Cruise Line, have been fantastic fun and packed with sheer novelty value. 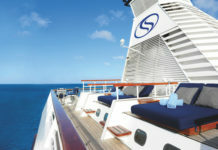 Al fresco alternatives such as The Grill on Silversea, where diners cook their meat on a slab of hot volcanic rock, and the Patio Grill on Seabourn, bring out the best aspects of dining outdoors where the views can be as mouth-watering as the cuisine. Cruise lines know the way to many a cruise passenger’s heart is through their stomach. After all, fine food, good company and beautiful surroundings are the hallmarks of an unforgettable occasion. 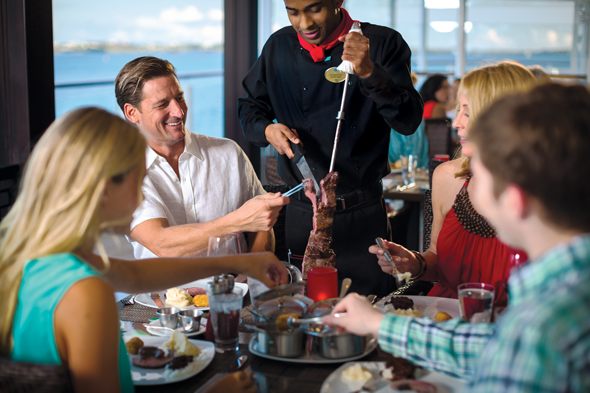 So it’s not surprising that with each new ship that launches comes the accompaniment of a flush of new dining haunts, from high-class French gourmet cuisine and Italian trattorias to South American churrascarias where gaucho-style waiters carve meat off long skewers at the table, American-style steakhouses and Asian-influenced eateries. Generally, these dining venues carry a charge, ranging from a few pounds to more than £50, though the average is around £35 a head. I know that sticks in the throat of traditionalists who resent paying extra, but if you choose selectively it’s a charge worth paying. 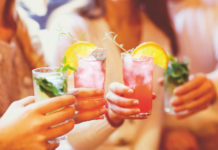 You don’t have to eat at such venues every night – and generally there are enough complimentary alternatives so you shouldn’t feel that you have to, but it is nice to inject some variety into evenings on board. And if you’re celebrating a special occasion, opting for one of these more select venues, which have a more intimate and exclusive ambience, is a no-brainer. Even with the supplement, diners will still enjoy a quality experience for a fraction of what it would cost ashore, particularly where celebrity chefs are concerned. And with the growing influx of culinary names, such as Marco Pierre White on P&O Cruises and Jamie Oliver on Royal Caribbean International, there is plenty of opportunity. On board the luxury “six star” and premium lines, you can enjoy the specialities of celebrated chefs Nobu Matsuhisa on Crystal Cruises and Jacques Pepin on Oceania Cruises – and there isn’t even an extra charge as these restaurants are included in the price. Even the mainstream lines now offer a more cost-effective way to enjoy their different restaurants with speciality dining packages that can work out at better value. It’s a mouth-watering option that can really add an extra flavour to your cruising experience, but rather like choosing dishes from a menu, the key is to pick and choose selectively. Whether you’re looking for a cultural holiday or relaxing break, find your perfect cruise with our Cruise Finder.